Oak win Galliford Try Safety Award for September at Belvedere! Oak Dry Lining receives the Monthly Safety Award for September at the St James “White City Living” project. Champagne corks popped in the Oak Dry Lining offices when we won the Dry Lining Package at Lovell’s “Connaught Estate”! Oak are well on the way with the “Ikon” (Lombard House) project in Croydon! Oak Dry Lining are delighted to have won the St James “White City Living” project. Oak have been awarded new residential project “Lombard House”, Croydon with Bellway Homes! Oak wins another exciting United Living project “South Thames College” in Wandsworth! Christmas Greetings from Chris and all the Team at Oak! 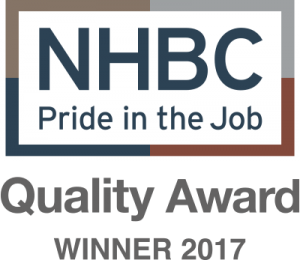 Oak Dry Lining receives the Wilmott Dixon “Best Supply Chain Partner 2017” award! - Oak win Galliford Try Safety Award for September at Belvedere! - Oak Dry Lining receives the Monthly Safety Award for September at the St James “White City Living” project. - Champagne corks popped in the Oak Dry Lining offices when we won the Dry Lining Package at Lovell’s “Connaught Estate”! - Oak are well on the way with the “Ikon” (Lombard House) project in Croydon! - Oak Dry Lining are delighted to have won the St James “White City Living” project. - Oak have been awarded new residential project “Lombard House”, Croydon with Bellway Homes! - Oak wins another exciting United Living project “South Thames College” in Wandsworth! - Christmas Greetings from Chris and all the Team at Oak! - Oak Dry Lining receives the Wilmott Dixon “Best Supply Chain Partner 2017” award!